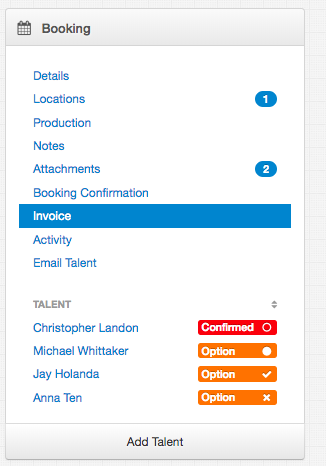 Once you are ready to Invoice from your Booking, you can easily email your client in 3 steps! 3. 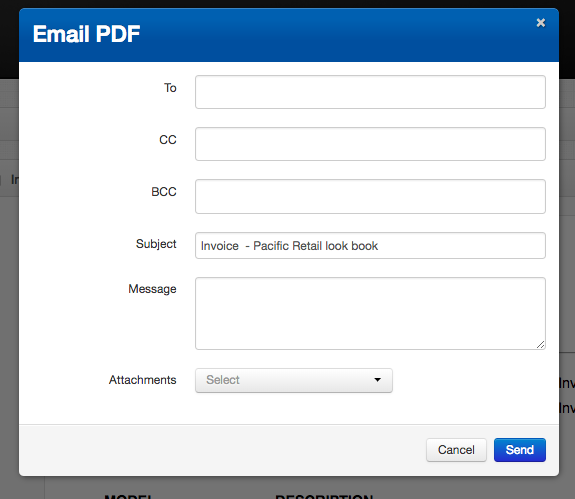 In the pop up window insert who the Invoice is going to, write your message & select any attachments you would like to include with the invoice and press Send! 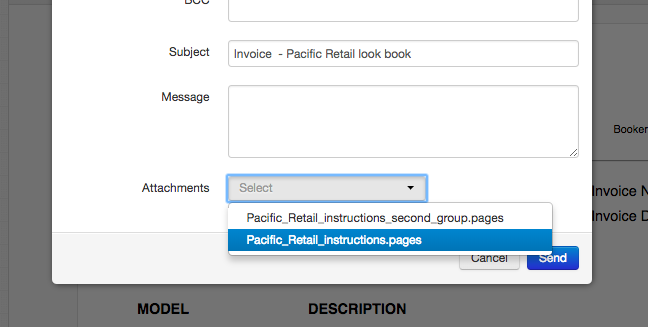 NB The attachements are loaded from the Attachments tab in the main booking.